Fried chicken is pretty much always delicious, but certain recipes can take it from simple golden goodness to a crispy taste bud revelation. Case in point? KFC’s secret blend of 11 herbs and spices that gives their chicken its distinct, savory flavor. 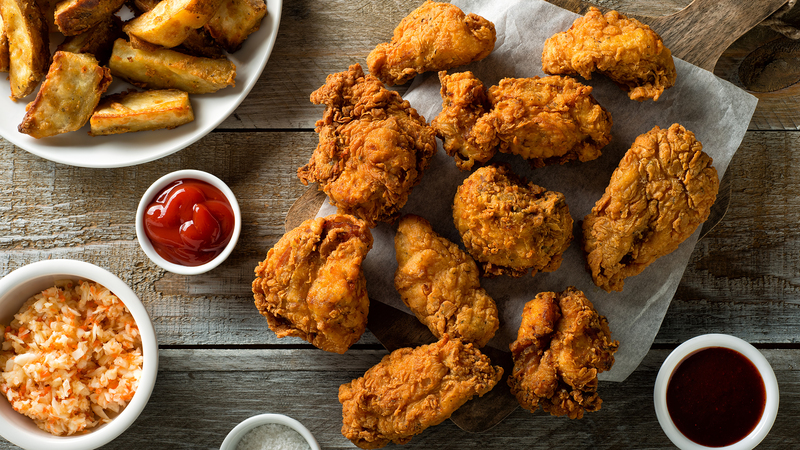 If you’ve ever tried making a copycat recipe, you know it just doesn’t come out the same, but KFC wants to change all that by sharing their secret recipe with the good chicken lovers of the world. By the world, we mean Ireland and the U.K. because that’s where the chain will be hosting KFC Open Kitchen cooking classes on Saturday, March 30. Attendees will be able to head to one of the 300 stores hosting the event, and will then get to see how the proverbial sausage is made. Why the heck did my ancestors leave Ireland, again? Diners will get to hand bread their chicken in the special spiced flour coating, then will fry it to a golden brown crisp and use it to make a sandwich. They’ll also get to take home KFC-branded swag and coupons for more chicken, and more food, fries, sides, drinks, and of course chicken will be provided at the events. Sadly, the event is taking place across the pond, and even more hopelessly, the tickets are sold out. Not that we were going to buy a last-minute plane ticket in our quest for poultry perfection, or anything. However! The good news is that we have the internet now, so it’s pretty safe to say that once KFC reveals its blend of 11 herbs and spices, the secret will be out almost immediately. Get ready for a food blog deluge on Sunday morning with authentic copycat KFC recipes popping up at previously unheard of speeds. We’ll have our chicken ready, our spice cabinet open, and a pot of oil on the stove ready to go.